Book Your Appointment Online! Easy and Convenient! Please read Policies before scheduling, thank you! Starting May 1st, 2019 there will be a price increase of $5. Don't Forget upgrades! Scroll to the Bottom of the Page! An Eastern style of massage derived from Indian Ayurvedic principles. Thai massage is done on a comfortable mat on the floor with the client fully clothed in light, loose clothing. The practitioner starts at the feet slowly working up the body applying deep compression and assisted yoga postures. This helps the client achieve a meditative state to allow areas of tension to open up and unblock "stuck" energies. A Japanese word meaning "Finger Pressure", Shiatsu is based on traditional Chinese medicine. It is believed that illness stems from imbalances in the body's energy or life force that surrounds it. In Shiatsu the practitioner uses fingers, thumbs, and palms to apply pressure on the meridians (energy channels) and acupressure points within the meridians to encourage flow and balance. Like Thai massage Shiatsu also is done on a mat with the client fully clothed. 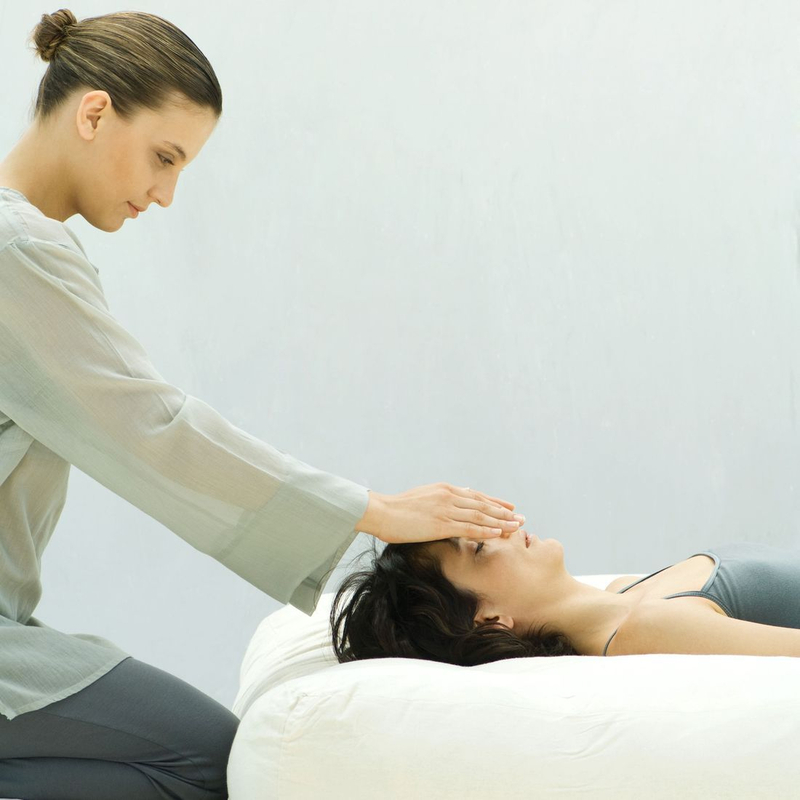 An integrative therapy that combines multiple massage modalities. The right combination is determined by the client’s specific needs and the therapist's extensive knowledge in addressing those needs. Modalities may include aromatherapy, reflexology, Swedish, acupressure, deep tissue, sports, and energy work. Natural basalt stones are heated to the perfect temperature to relax muscles allowing access to deep layers of tissue to relieve areas of tension. The heat from the stones also increases blood flow to reduce stress and soothe sore, aching muscles. A custom aromatherapy blend is incorporated so you feel renewed after every session. The East meets West in this thoroughly relaxing and therapeutic face massage. Enjoy the perfect mix of an aromatherapy face massage and Eastern inspired techniques to encourage lymph flow, calm the mind, and reduce tension in facial & head muscles. Includes steamed towels, cleansing, toner, mask, face massage, acupressure, Indian head massage, and jade stone rollers. Reflexology is the firm pressing of points on the bottom of the feet that correspond to certain parts of the body. This helps aid the body’s natural healing process and functions of the body systems. Service includes an invigorating peppermint & melaleuca essential oil salt scrub, melaleuca essential oil Shea butter massage, hot stones, and full reflexology session focusing on the 34 points. Enhance your massage experience with an upgrade! Incorporate herbal heat or herbal ice to relieve pain, swelling, and stiffness caused by exercise or repetitive stress. Increase circulation to your back muscles with an Ayurvedic scrub containing dead sea salt, nourishing vitamins, and soothing oils. Bring circulation into your feet with an Ayurvedic scrub containing dead sea salt, nourishing vitamins, and soothing oils. Add a little extra time to focus on a certain area or use it to take an aromatherapy nap after your massage. The choice is yours! Give your body a little boost with a quick reflexology session. An extra pick me up for your face! Steamed towels, cleansing, mask, and massage. © 2010 Whispering Hands Massage. All Rights Reserved.